Welcome to fourth grade! I hope you had a relaxing and fun summer. I am excited to be returning to Aiken and am looking forward to a great year of learning, sharing, and discovery. We have a very busy year ahead of us. My goal for the school year is to create an environment where every child feels important and has an opportunity to learn. I believe if parents and teacher work together, children will flourish academically, socially, and emotionally. Teaching is my second career and I love it! I worked in retail for fifteen years. Most of that times was spent working for the Gap as a Regional Manager for Old Navy. My career at the Gap took me to many cities across the country. I have lived in New York, Atlanta, and San Francisco, finally settling in West Hartford. After fifteen years of working in retail I decided to follow my heart and become a teacher. Working with children makes me smile every day. I grew up on Long Island, so of course I love the beach. I am an avid sports fan, you name it I love it! I played soccer at Uconn and still try to play as often as I can. I also love to work out, play golf, kayak, and ski. I almost love watching sports as much as I enjoy playing. Especially now that I am getting a bit older. Of course being a Uconn graduate, I love to watch the men’s and women’s basketball and soccer teams and I have season tickets for football. However I’m a New Yorker so my favorite sports team to watch is the NY Giants. Most Sundays you will find me on my couch watching the NFL. I can’t seem to get enough football. I guess I can blame my three brothers for that. 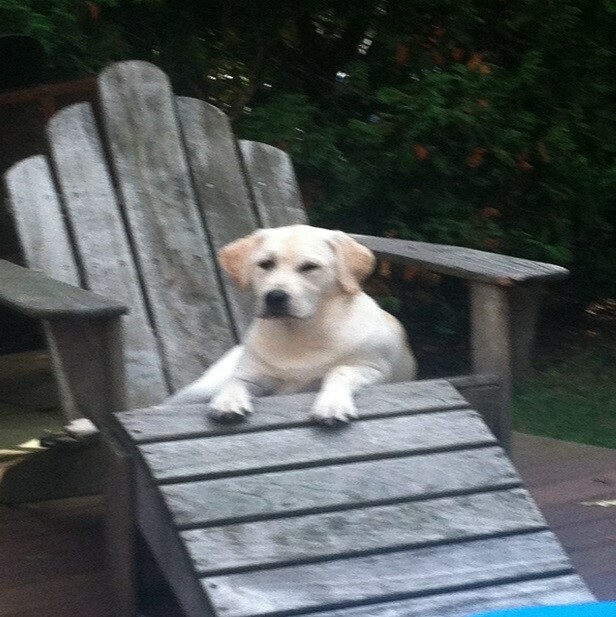 I have a six month old yellow Labrador retriever puppy named Lucy. She is becoming my best pal. We spend lots of time together going for walks. You will probably see us around town. She is very curious and a great companion. If I’m not playing sports, watching sports, walking my dog, or enjoying a relaxing day at the beach, I am usually curled up with a good book or at home entertaining friends and family.